Safety goggles feature a durable, anti fog coating that's bonded to the lens to resist fogging for longer, even after washing multiple times. Advanced Scotchgard coating produces a reduced contact angle, flattening the water beads into a thin, transparent film of water to allow light to pass through and ensure you maintain a clear vision of your surroundings. Plus, it withstands disinfection with diluted bleach soaking or alcohol wipes without losing its anti fog performance. 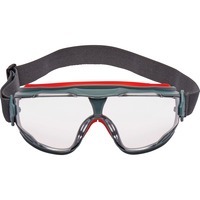 Safety goggles with indirect ventilation are perfect for working in hothumid conditions, indooroutdoor work, physically demanding tasks, climate controlled areas and more.